With the practice expanding to 3 vets and the fact that we were bursting at the seams in our old office, we have decided to find bigger premises! 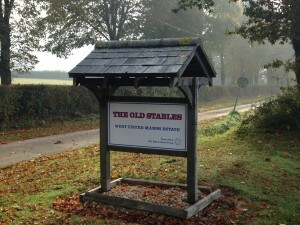 We have been lucky enough to have been welcomed on to The West Tisted Manor Estate where the office, as of November 2016, is now based (10 minutes south west of Alton). don’t forget to give us a call for directions if you would like to pop in to say hello, collect drugs etc. Exciting new chapter for Kings Bounty! This entry was posted in Practice News on January 11, 2017 by kings_bounty.